Farming is a new aspect of my life. 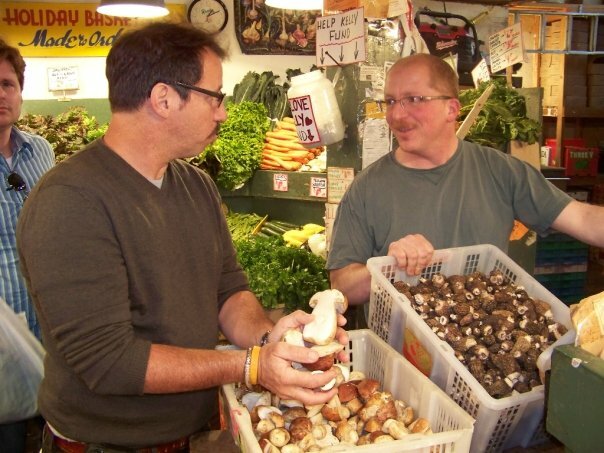 Our passion for food and ingredients has always brought us to the doorstep of farmers and markets around the world. From the hawker food stalls in Singapore and Taiwanese night markets to Seattle’s Pike Place, Barcelona’s Mercat de la Boqueria, Tel Aviv’s Food Stalls, and the open-air markets of Athens, we’ve searched out and eaten our way through some of the best markets in the world. We plan our excursions and vacations around food. 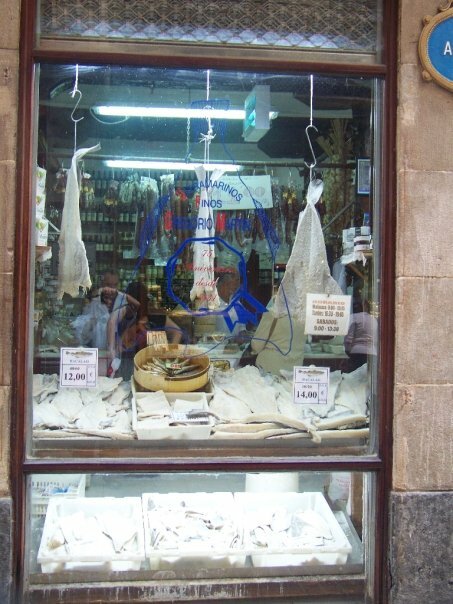 And when we haven’t mapped out these edible details in advance, as soon as we land in a place we interview locals about not only where they eat, but where they shop. How does their food arrive to their town or city? Are there farms nearby? Fish markets? Fabulous butchers or bakers? And whether we were searching out great cheese in Israel or Washington State, we were always happier when we could visit the cheese maker; see the cows and the goats and the people behind the final product. So when we found ourselves settling down in Blue Ridge, planting personal and business roots, we discovered the fine food craftsmen we yearned for were just outside our reach. Our restaurant space came with an ample space for an herb garden, so I began there planting between traveling and writing for my old Executive Editor post and helping to get the restaurant up and running. I immediately wanted more space. So when a small one-acre property came available in town we expanded to plan a garden and cooking school. My altruistic plans to build a community center to teach less fortunate people how to become self-sufficient off the land, quickly proved itself to be a full-time job and one I could simply not do alone. Working the tiny parcel itself was more than I imagined. Weeds don’t sleep. And the chickens we inherited on the site needed more space and attention than I thought in that first year. And so the building, although renovated, never took precedence over the garden and animals and our other projects in town. The girls – Kudzu, Freckles and Amelia – came to us from Flip Flop Ranch in California. Descendants from the original Tom Walker Cotton Patch restoration project. And still things grew. 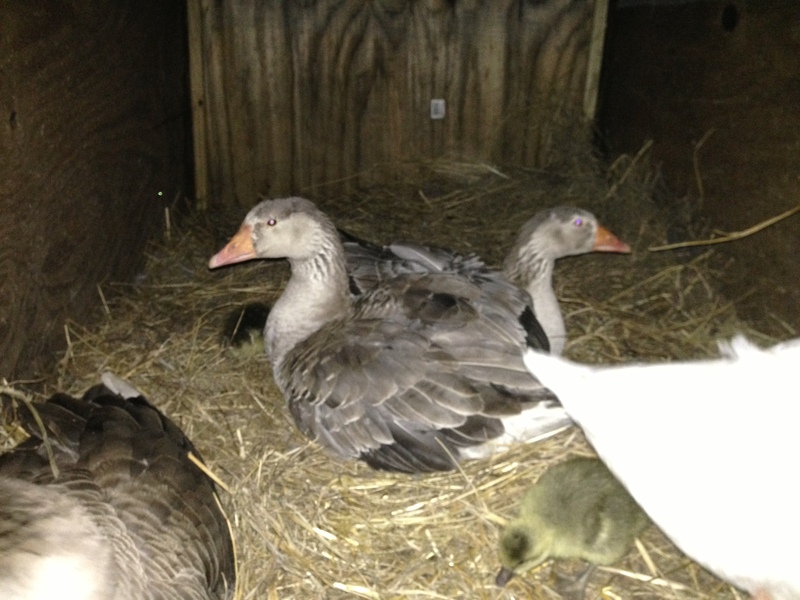 And I added heritage Cotton Patch Geese. And we built our first Farm to Table camp for kids (who are much more forgiving about incomplete kitchen spaces and imperfect facilities) who taught me that digging for potatoes can be an aerobic exercise and watching chickens play tomato football never grows tiring. Our first hive was courtesy of Linda Clement, but we lost it along with many folks in North Georgia last year. 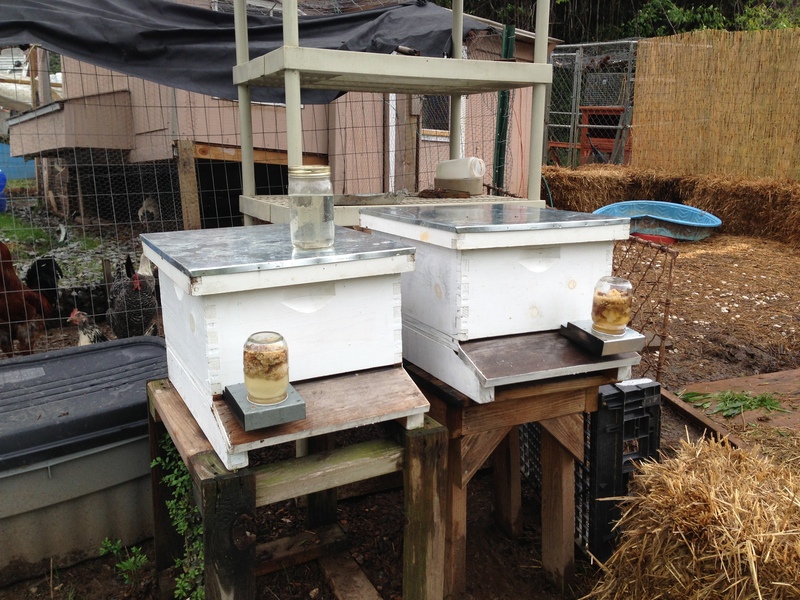 This year we’ve begun anew with four hives. We’ve already expanded one in less than a month’s time. They are hard at work! This year we are on our third growing season at what we fondly named The Cook’s Farm. 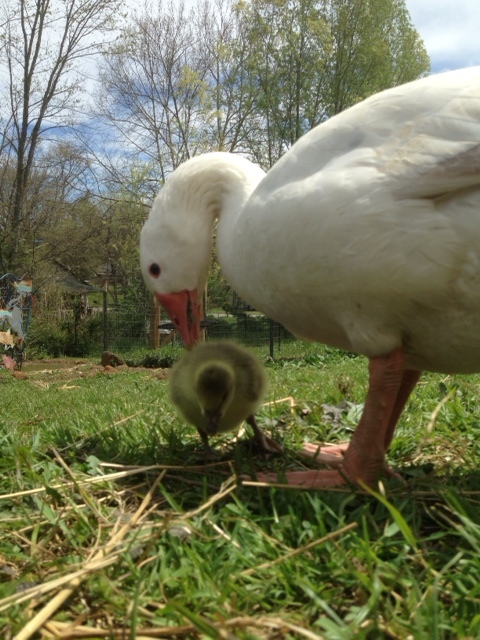 My geese are hatching goslings. My chickens are fervently trying to hatch chicks arguing with me each time I gather eggs. And I am learning, finally, the definition of patience and perseverance. I may have had perseverance in the past, but never patience. The garden itself is a lesson in time management and science. There is proper rotation. The elements of compost and getting the right mix of nutrients into the soil. We do everything by hand – adding organic nutrients to the soil and gathering seeds at the close of each growing season. Pappa Prince and gosling Alli. Add to that this new part of my world – animal husbandry – and you have more science lessons – biology and medicine. Subjects foreign to a woman who has made her living the past 20 years through the written word. This spring season of birth and growth has been particularly trying and joyous for me. I have learned how the seemingly incredibly simple process of hatching an egg is such an intricately difficult process of nature. It boggles my mind how the egg develops, the hatchling flips and pecks and rolls inside to make its fight out of the safe shell where its life began. This season I learned the hard way the delicate balance that’s needed for successful hatching. The first time I incubated eggs two years ago was when we purchased the little house downtown. A roaming chicken found her way under the construction dumpster and started her own nest. About a week before the eggs were to hatch, we came to work to find signs of a ruckus and a pile of feathers. The Mother Hen was gone. And so I rushed out and bought an incubator and took the eggs home. Twelve of the thirteen eggs hatched on Easter morning. It seemed so simple to me. Until my geese began laying this year. The process is so different from chickens, eggs laid every other day and no one sitting on them to keep them warm – you have to pull the eggs and keep them cool until you gather enough to incubate. Of the twelve I brought home, one hatched perfectly. 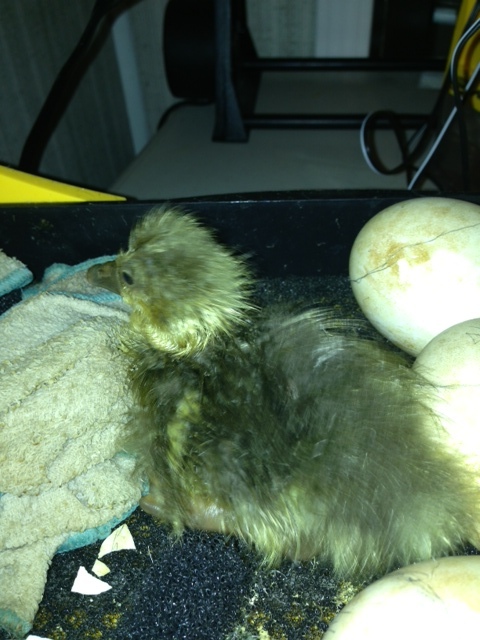 I helped one gosling from the egg after another had pipped, but died in its shell. After that loss, I read that sometimes it’s okay to lend a hand and decided to take action with the third. One lesson learned. Monitoring the gradual growth in the air pocket within the egg helps guide you in the hatch. Dipping the eggs in water, not just misting them, also helps provide better success. Then I waited for the others. But unlike chickens, geese have to be hatched at really high humidities. It turns out much higher than even the incubator recommended. It was heartbreaking. And more heartbreaking. So I left the other eggs to the Mommas, they hatched one perfectly just after my hatch at home. But their new gosling had a bent foot – either at birth or broken from the less than coordinated movements of three Mother Geese nudging her about. Then came more waiting, I checked their nest daily and pulled the infertile eggs. I was about to give up when finally one was ready to hatch. 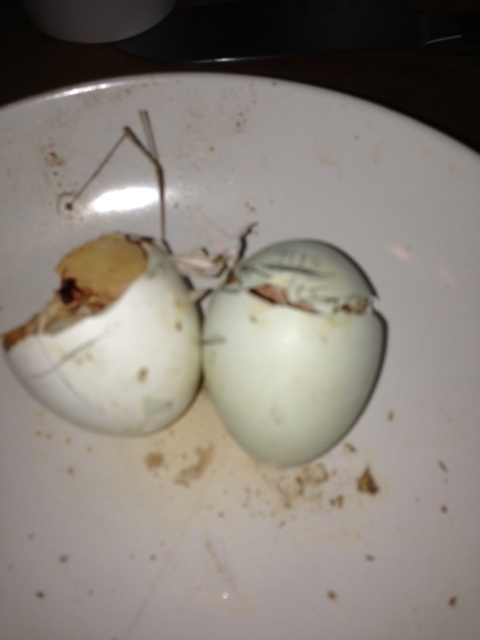 When I checked back the next day, the egg was crushed and the little goose struggled to survive. I brought her home, but it was too late. Baby Chicks! Three have a new home coming to them with kids from our Farm-to-Table Camp last year…here they Sullivan tribe! Grant are you ready? So off I went and gathered the remaining eggs bringing them home to try to finish the incubation artificially. The incubation period for geese, as it turns out, can go well beyond the 30 day average. 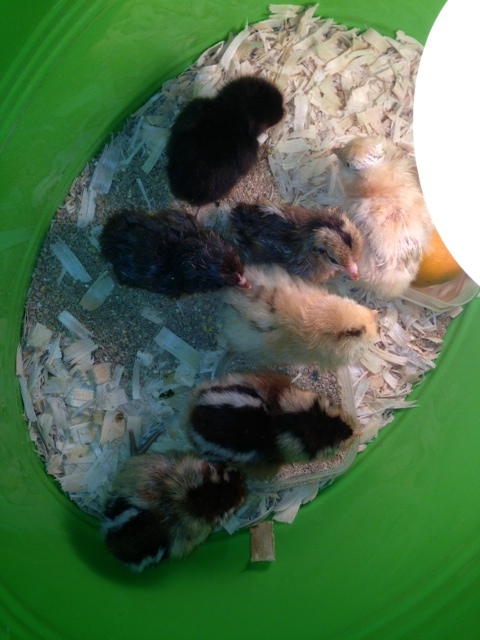 As I type, there is still another hatching in the incubator. I had expected a complete clutch at the end of March. Now, nearly to May we have seven goslings (one with a foot still to mend somehow); a loss of six eggs that I may have given up on prematurely; and five tiny chicks. The little guy who I helped from the egg never developed quite right and we had to “cull” it. I spent days trying to do it, when finally Danny did the deed after finding me teary-eyed on the porch holding the gosling and trying to get the nerve up to be a responsible “farmer” and cull him myself. I am pausing today to give thanks for the lessons. For the failures and the successes. Gosling Angel still drying in the incubator. Perhaps someday. I am not quite there yet, but after selling this clutch of geese – watching them leave…perhaps I will get used to the ebb and flow of life and farm preparing myself for the coming of rabbits and hopefully a bigger parcel of land in the future.